Learn how to help prevent cancer in your pets! After many years of practicing veterinary medicine, the field still finds ways to be exciting! Does your dog have bad breath? We recommend OraVet Dental Hygiene Chews! Does your pet need to be vaccinated? We have a shot clinic on Tuesdays from 1pm to 7:30pm and Fridays from 9am to 11:30am! 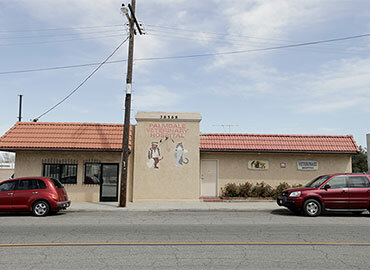 Palmdale Veterinary Hospital is a full-service AAHA-accredited veterinary medical facility located in Palmdale, CA. Our professional and courteous staff seeks to provide the best possible medical, surgical and dental care for our highly-valued patients, which include dogs, cats, reptiles and birds.We are committed to promoting responsible pet ownership, preventative health care and animal health-related educational opportunities for our clients. We also serve Lancaster, Quartz Hill, Littlerock, Pearblossom, Acton, Agua Dulce, Rosamond, Mojave, Techachapi, Santa Clarita, Crystalaire, Llano.